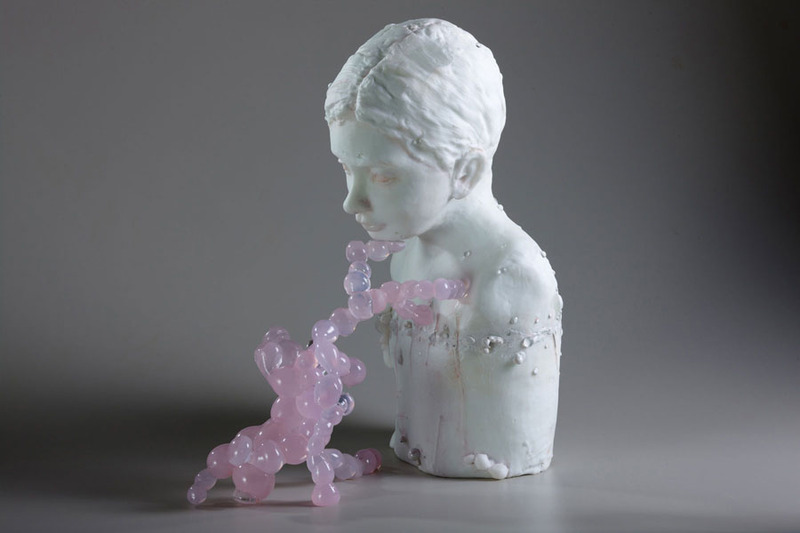 Sibylle Peretti creates dreamlike figurative work in which images of children are intertwined with flowers, bees, animals and water. 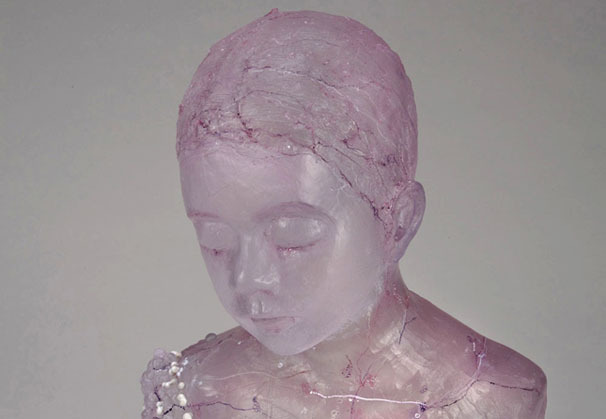 Peretti’s works range from wall panels to glass domes, cast glass busts to life-size figures. 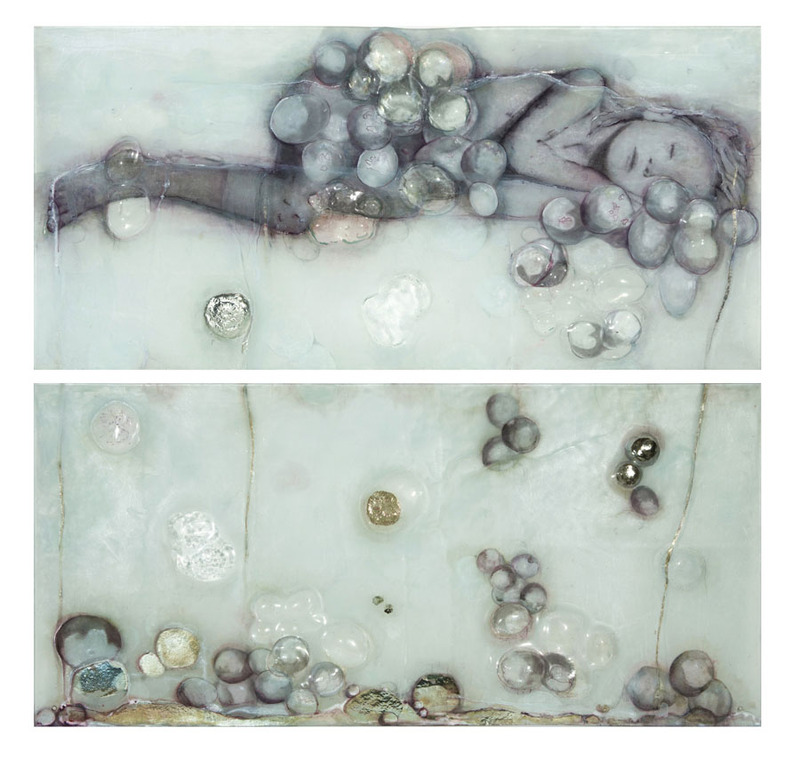 The wall pieces combine photography and drawing with engraving on glass and mirroring. 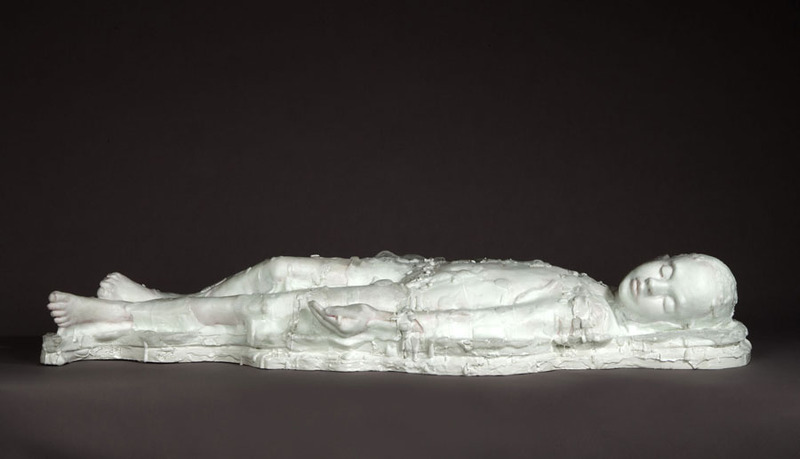 Peretti is represented by Heller Gallery, New York City. 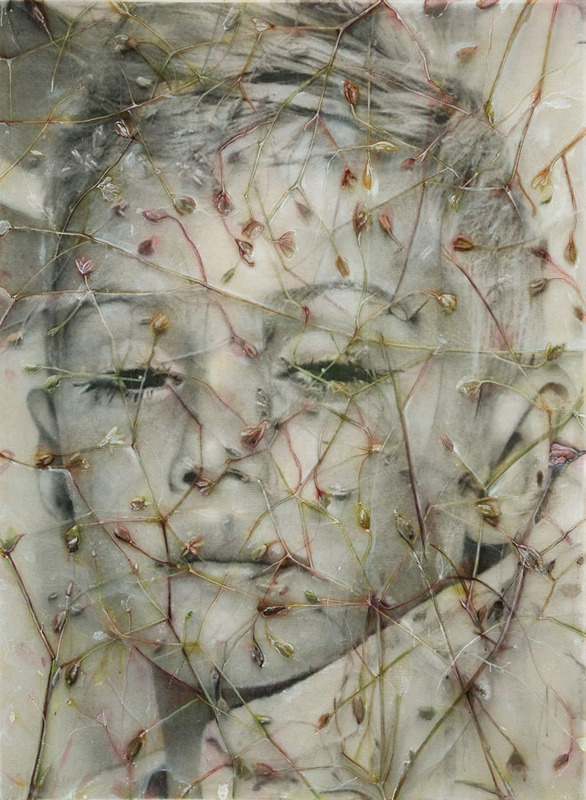 Peretti says the children in her images "have a special kind of communication without words that is natural and deep, they are closer to nature." They awaken a powerful sense of humanity in us and set off our instinct to protect and save our own. The world Peretti creates for her children is mysterious, blithe and pretty, and underscores their magic, purity and innocence. 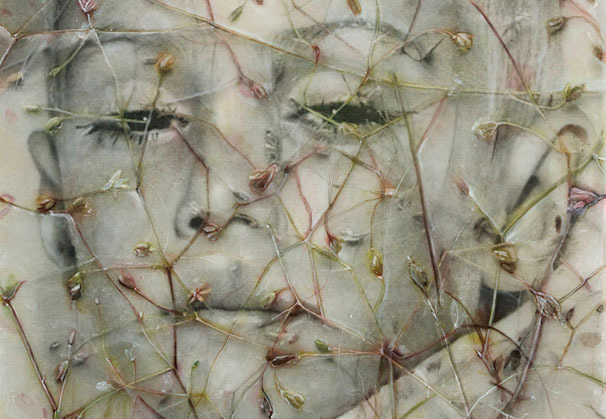 By placing her subjects in idyllic, fairy tale-like surroundings, sometimes in proximity with another image of themselves, she symbolically rehabilitates them and amplifies their power to elicit empathy. 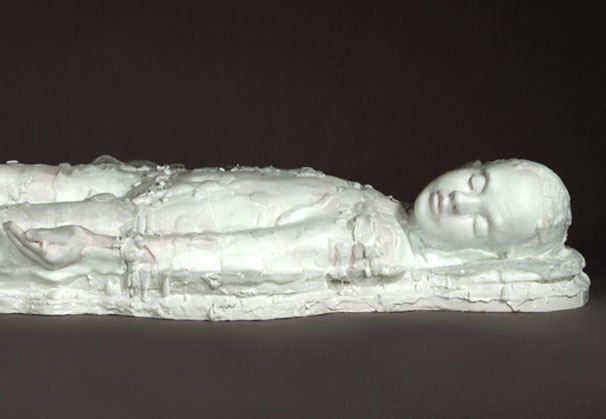 The artist says "the children in my work impart a mystery around them; I think they may carry answers to our big questions, such as what makes us human." The intention of poetry is reshaping and poeticizing everything real, not with the aim of creating something perfect, something harmonious, but to make openness the ideal. 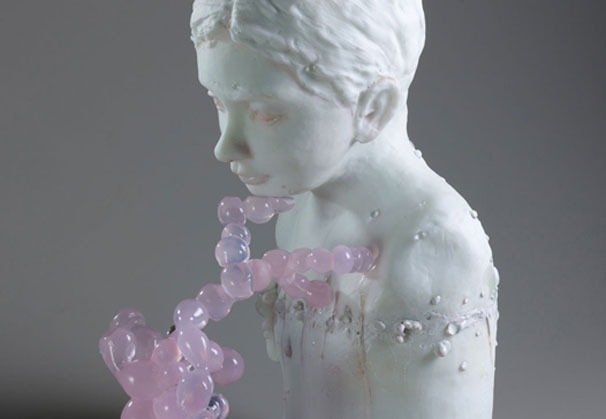 Tender and disturbing, the figurative work of German artist Sibylle Peretti weaves a lyrical narrative populated by flowers in bloom, animals, bees and children long gone. 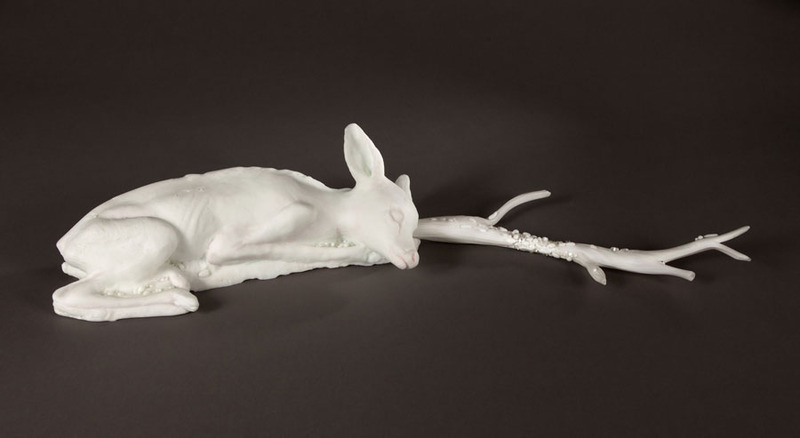 Curator Sabine Runde has written of her work: “In her work we are slowly and inexorably drawn into a maelstrom of conception. 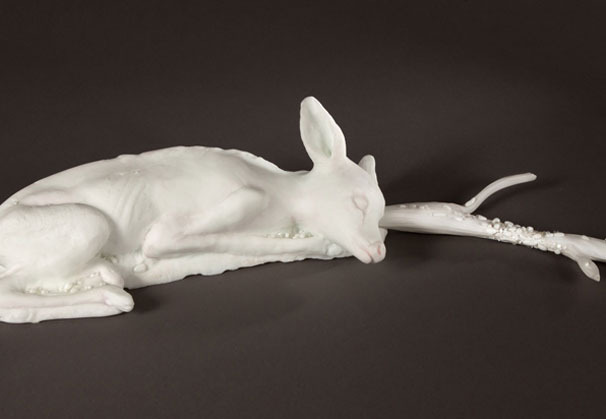 Using the appeal of sentimentality and kitsch, pairing fantasy with reality, the pieces are like a fairy tale. They were collected and newly written at a time that is linked with romantic aims, to express nature, to articulate wishes, desires, hopes, to give feelings a narrative form, to create a connection between spiritual inventiveness and reality. "Peretti’s fascination with images from other times (e.g. 19th century) inspires her to take these from other contexts, such as scientific publications. The artist heightens their emotional expression and at the same time removes them from their original reality. 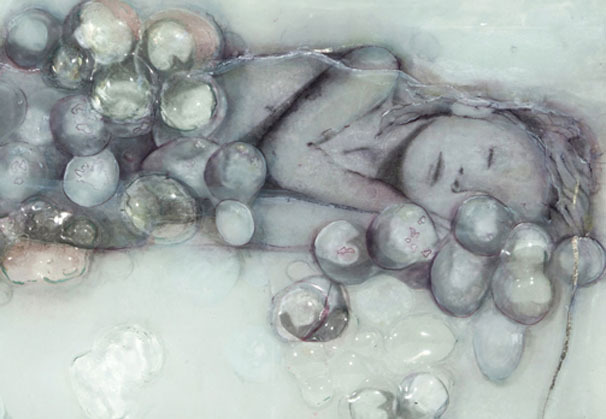 The artist uses every detail for its symbolic value and relays the body and its changes as expressions of emotions. Colors, shapes, figures, and their painterly and spatial arrangement open up intellectual spaces. 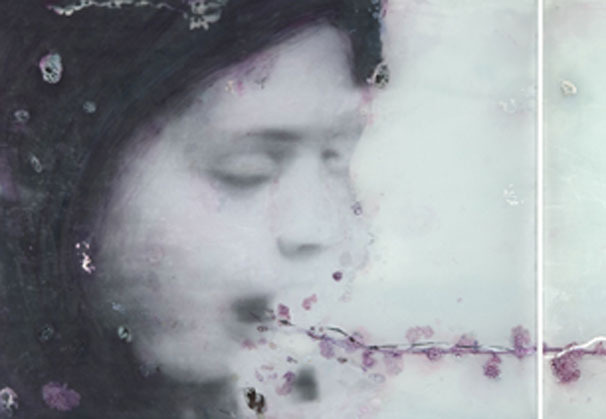 Sibylle Peretti received her MFA in painting and sculpture from the Academy of Fine Arts in Cologne, Germany. 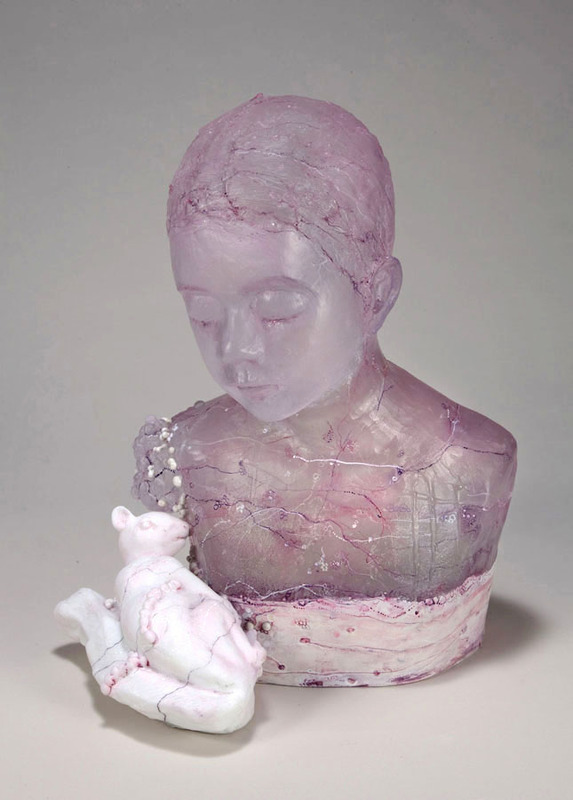 Her work is represented in the collection of the Corning Museum of Glass in Corning, NY; Museum fur Kunsthandwerk in Frankfurt, Germany and the American Glass Museum in Millville, NJ as well as other public and private collections in the USA and Europe. 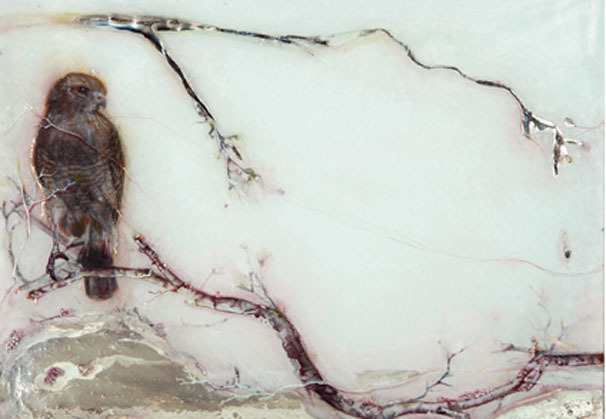 We are grateful to Heller Gallery, New York City, for providing the materials for the Artist of the Month.